Sent to spend the summer with her grumpy grandfather Edward, Lise discovers an old trunk, and the five notebooks it contains. When she opens the first, a letter falls out, and she is reminded of a faerie tale she heard when she was young. Escaping up to the attic each day, Lise slowly gets to know Japser, Lilly and Isadora, the authors of the books. As she reads, she lears of their worlds, starting with the chance encounter on a tour in 2008, nearly 80 years earlier. Entranced by what she is reading, Lise slowly learns the history of her family, and the truth behind the faerie tale. Bella Swan, a young registered pharmacist from New Jersey, takes a job in the Forks, WA Regional Hospital, determined to start her life over. She meets the handsome, brooding Edward Cullen, who also works in the hospital's pharmacy...but on the night shift, of course. Will Edward be able to control his agonizing thirst for Bella's blood? 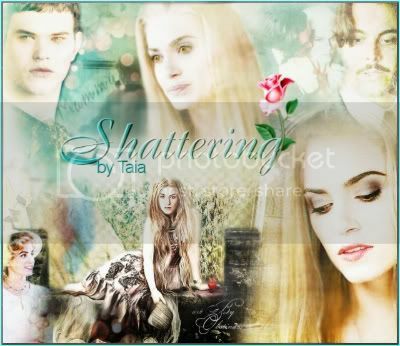 How will the emotionally wounded Bella react to her increasing attraction to him? Can Jacob be effective as a minor, if consequential, character? And most important, can Serendipitous refrain from the gratuitous use of hokey questions to attract readers? Huge thanks to the talented and generous Anne Cullen for the banner! 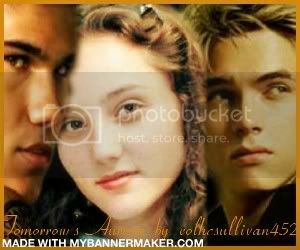 Canon pairings; the Cullens are still vampires. 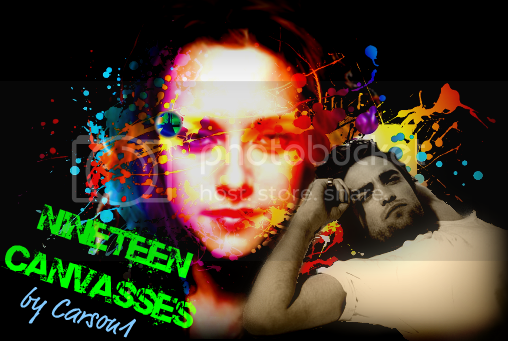 Edward's and Bella's ages are advanced to their early-mid 20s, to give them more adult sensibilities. Other than that, the story parallels "Twilight," with some new adventures in line with the characters' ages and situations. The chapters alternate between Edward's and Bella's POV. While it's not a *funny* version of "Twilight," there are definite sparks of humor in it. When Bella Swan made a choice to seek revenge and justice for a tragedy that occurred in her life, she knew of the consequences that it will bring. She knew that she may have to pay it with her life – it was a risk she was willing take. But along the way, she meets Edward – and now love is thrown into the equation. Would she take a chance on love and let Edward in or are the consequences of her choices too great and their love never meant to be? 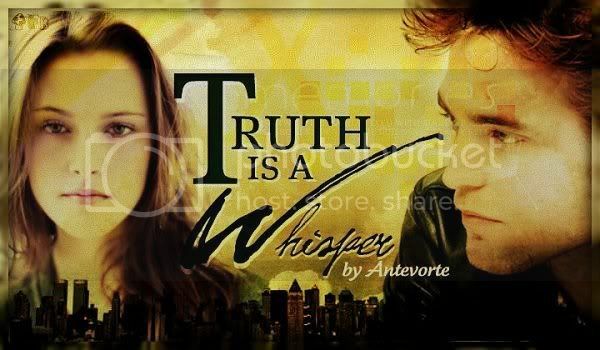 We all believe that Edward and Bella are meant to be together...but what if there’s more to that than meets the eye? What if there are forces at work that they don’t understand? How will they cope with events that have no discernable meaning? 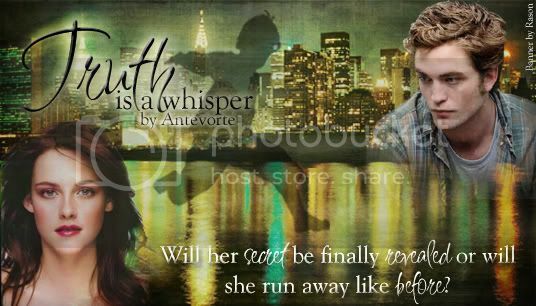 This story starts out two weeks before Bella and Edward’s wedding. But, right away, things go wrong. They struggle with mishap after mishap, all the while wondering if they’re destined to be at the center of conflict and angst. All the major characters of Twilight appear. Canon couples. Lemons in various chapters. 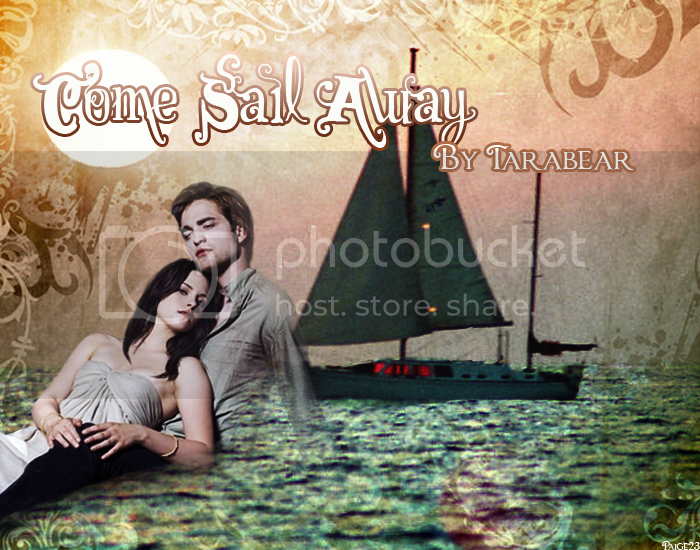 This is a more realistic view of Edward and Bella’s relationship before the wedding. He certainly wouldn’t carry her off to a desert island alone, having never even touched her. They would have experimented a bit. Eventually all characters get their Happily Ever After. I just drag them through hell before we get there. No characters die before their time. And I’ve adhered to canon up until the story starts—Post Eclipse. After that, it diverges from SM’s version. So...no Renesmee. No pregnancy. I’ve poured my heart and soul into this story. It took me over a year to complete. I thought about it constantly. For that hard work and diligence to form, grammar and style, I’d like just one tiny thing from you, the reader. I’d like a review. If you love it, if you hate it, if you’re just indifferent and will never look at it again, I’d like to hear that. It’s not a lot to ask. So...I’ll say thanks in advance for the wonderful reviews you’ll leave after you read each chapter! From Emmett's POV, how he was changed and how he joined the Cullen family. When a newborn Emmett destroys a precious keepsake of Rosalie's, he must make amends. How else could he do it except by giving her a present? Of course, only Emmett could get away with giving this kind of gift. When Emmett's practical joke backfires, see what happens during a school year in which the sextuplets aren't allowed to show an interest in each other beyond their sibling connection. This will be a series of lighthearted, vampire one-shots set throughout the course of a school year. Set after Edward changes Bella and the Cullens relocate to Maryland.